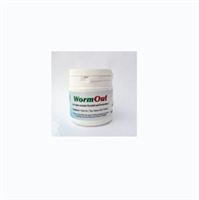 Water soluble wormer effective against roundworms. To use: 4 tsp. per gallon of water. Repeat 14 days later. Do not feed birds 24 hours before use and 4 hours after. Ivermectin administered orally to the birds. 2 drops in the throat, repeat again 10 days later. For smaller birds, 1 drop in the throat, repeat again 10 days later. Also effective for treating lice. 1 ml contains 10 mg of ivermectin. To use: 16cc per gallon of water. Repeat 14 days later. Do not feed birds 24 hours before use and 4 hours after. Tablet wormer effective against roundworms. Each tablet contains 23.6 mg levamisole. For birds that weigh up to 1/2 pound - administer 1/2 tablet. For birds that weigh 1/2 to 1.1 pounds - administer 1 tablet. For birds that weigh over 1.1 pounds - administer 2 tablets. For all birds - repeat dosage 14 days later. For the individual treatment in pigeons. 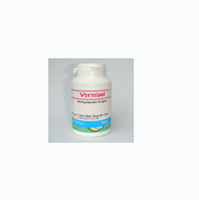 Effective against ALL worms - roundworms, tapeworms. Direction: administer 1 tablet per bird, repeat 10 days later. Effective against all worms except tapeworms. Formulated for oral administration in sheep. Treats and controls gastrointestinal roundworms.